Tucked away amidst the rolling hills of Central New York lies a hidden gem, a place where people gather to celebrate and play games – children, adults and elders alike. Along the ancient north-south pathway of native origin, now called Rt. 81, nine miles south of the city of Syracuse at exit 16, on the lands of the Onondaga Nation, stands a long house, home to both history and recreation. Translated from the ancient Onondaga language, Tsha’ Honnon yen dakwah’ means “Where They Play Games” and under the roof of this great house, that is exactly what you can do. The eighteen-year-old facility serves surrounding communities, and facilitates the sports programs of the Onondaga Nation. 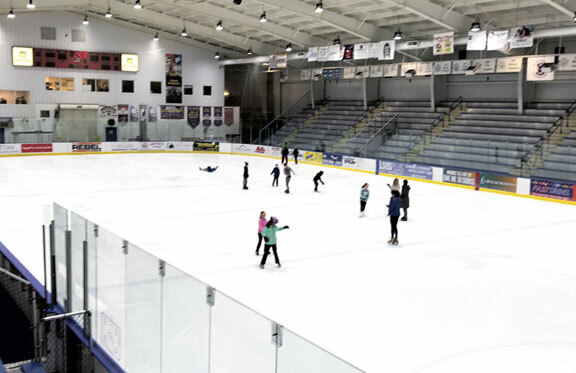 The Onondaga Arena is a multi-use, 2,000 seat facility that features Ice hockey in the winter and Indoor Box Lacrosse in the summer. The current seasonal focus is on the game of lacrosse. The Iroquois Nations lay claim to the “long-stick” version of this game – the origins of which are found within the spiritual creation story of nations’ very beginnings, a story told from time immemorial. Inside the arena are trophy cases that tell the historical stories of generations of lacrosse players and legends associated with the game – and this coming spring and summer schedule will showcase the Onondaga Redhawks 2018 Champions of the Can-Am Lacrosse League. 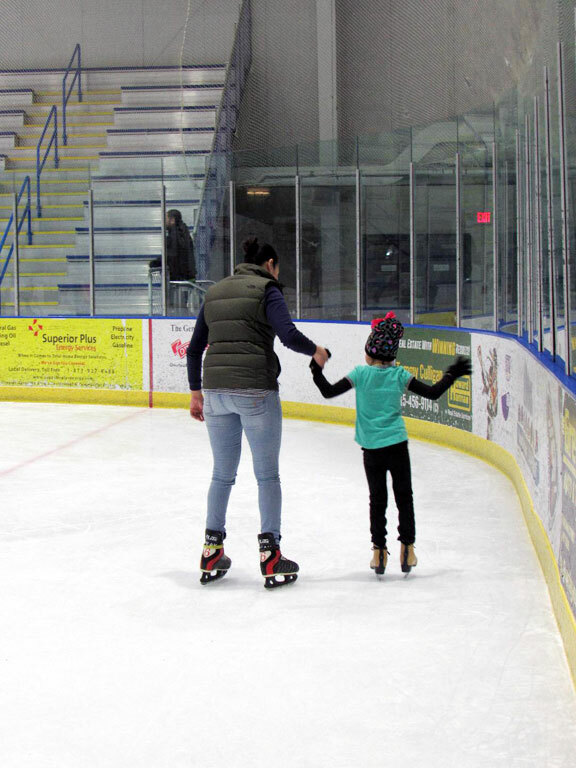 During the winter months, you’ll find daily “Stick and Puck” games, and Open Skating hours, with skate rentals always available. Skate sharpening is offered in the pro-shop by trained workers dedicated to perfection and will accommodate figure and hockey players alike. The Nation Arena houses youth hockey programs as well as high school and college teams, the Syracuse Crunch has also utilized the facility over the years. With a full staff of maintenance workers and security personnel to insure patron’s comfort and safety, The Onondaga Nation Arena welcomes visitors from surrounding communities. In addition to sports venues and abundant general seating for spectators, the Arena also features an “elder’s room,” where you’ll find comfortable seats and tables dedicated to those who wish to watch games in a quieter setting. This room is also adorned with portraits of the faces and players that have molded the history of Onondaga – images from generations past to the contemporary game and heroes of today. The Onondaga Nation Arena also features the “Power Play Café.” As the name implies, it’s more than simply an arena concession stand. 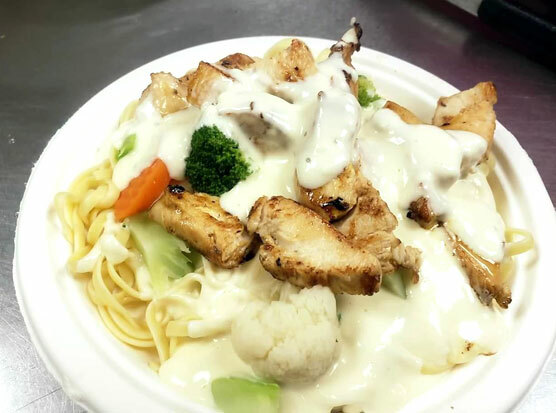 The Café menu offers daily specials that rival most area restaurants, with home cooked $5.00 specials and a wide selection of your favorite “sports night” choices. Patrons are always satisfied and usually become regulars for Breakfast, Lunch and Dinner. For the sports enthusiasts, the Arena includes a special shop called the “Price-Check Pro-Shop.” Here you will find a wide range of Lacrosse and Hockey equipment, whatever your level of play, and a great place to find gifts for the fan in the family! 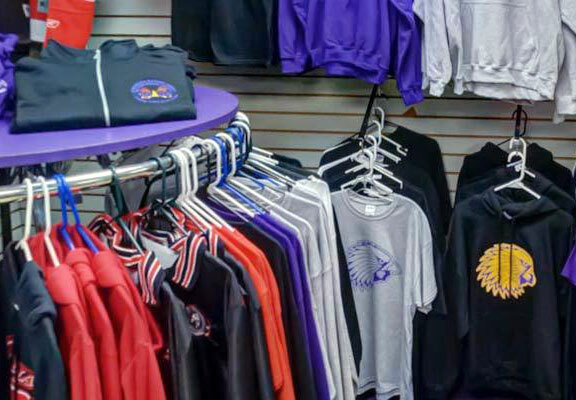 The arena pro-shop also sells clothing and sports apparel, many items adorned with the Onondaga Athletic Club’s RedHawks Box Lacrosse team logo. From helmets to Hoodies, from tape to traditional wooden sticks, the pro-shop has it all at prices you cannot find elsewhere. Recently added: Native Craft Displays, where you can now get Beadwork, Jewelry and authentic handmade items from Onondaga crafters any time of the year. There is also a quantity of always popular Pendleton, full size and baby blankets, along with hand-held and strapped purses of various native design. 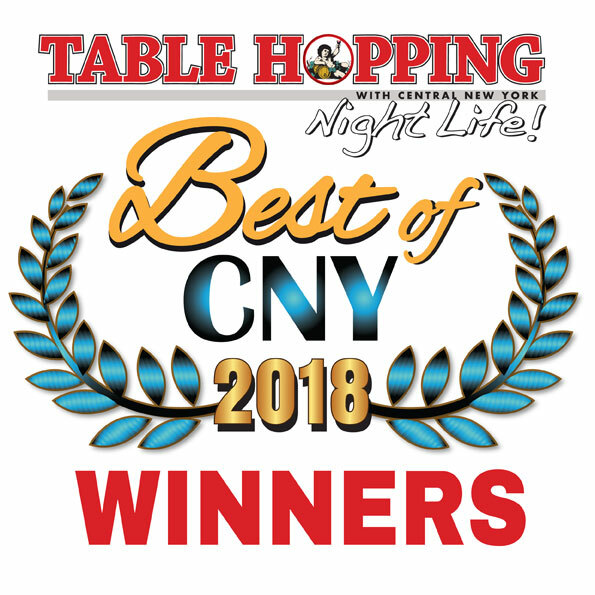 The Onondaga Nation cordially invites you to come and experience the beautiful surroundings in and around the Onondaga Nation Arena for a unique historical visit as well as a day or evening of sporting events, shopping or dining. The staff is ready to welcome you – visit www.onondagaarena.com for more information, and to plan your outing!